One of the exciting effects that you can achieve with the Bolide Movie Creator involves adding and creating your own image effects from saved templates. With this feature, you can create a variety of cool effects using any (.png) image you want. Whether you plan to use your movie for just for fun, a business meeting, or a school project — adding your own effects is a satisfying (and professional looking) option! Before you begin, make sure that the image you want to use is saved in the .png format as this is the file type that BMC prefers when creating and saving homemade image effects. 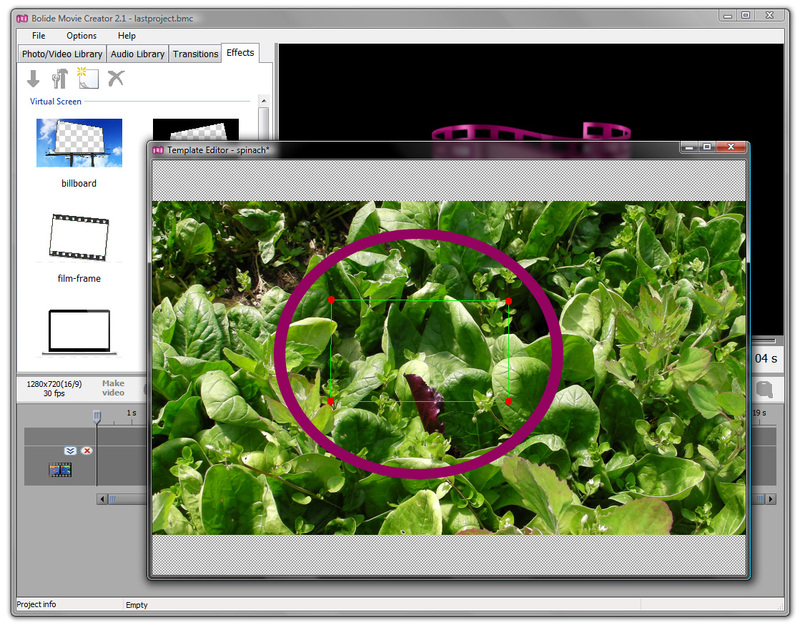 Next click the Effects tab followed by the Create a new template from image icon in the Effects toolbar. This will prompt you to select the image you want to work with. 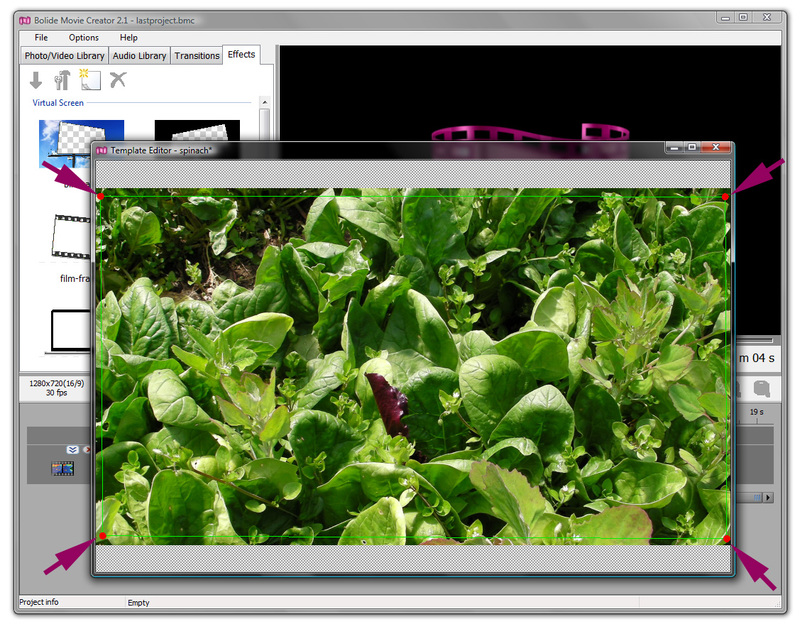 The image will then open in the Template Editor window. Notice the green box with red dots in each corner? Using your mouse, grab and drag each corner of the box until you've created a frame around the portion of the image you plan on using as a knockout. Click the red x in the upper right corner of the Template Editor to save your Template. It will then be available for use. 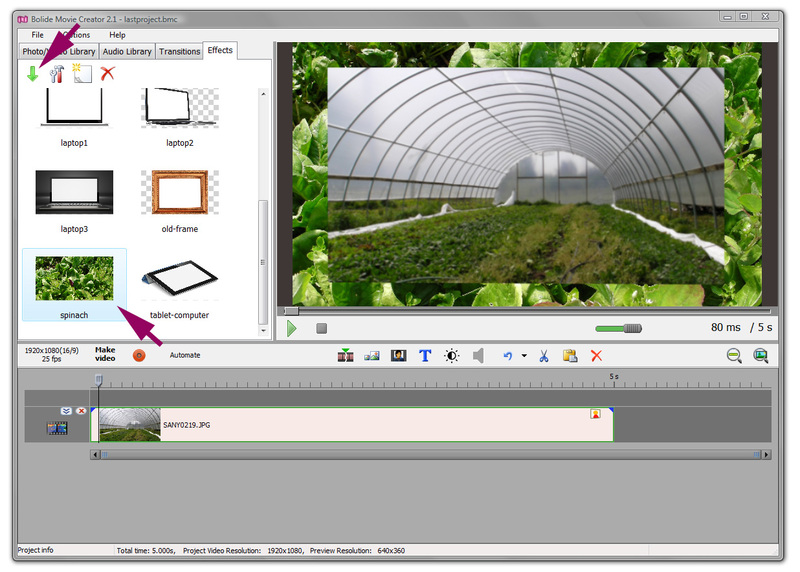 To use the template, left-click the thumbnail located in the Effects Library. 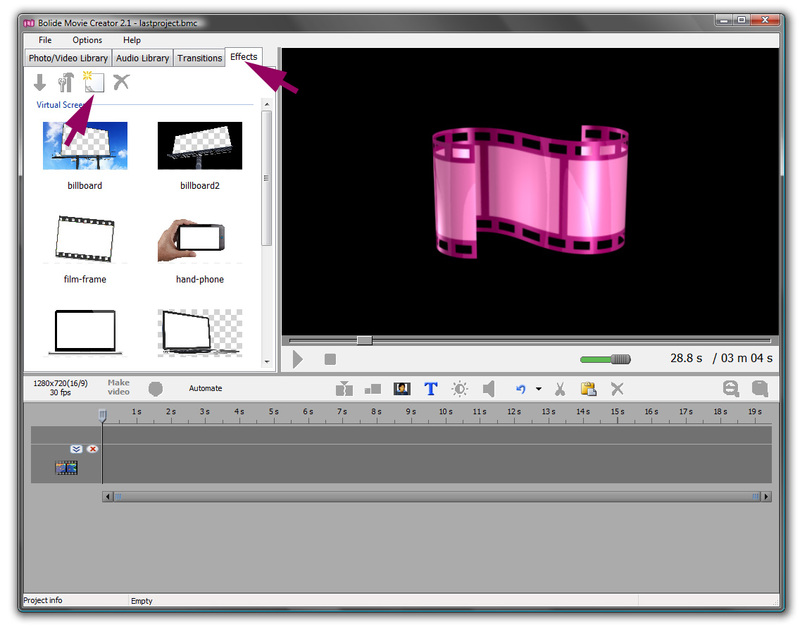 Next, click the green arrow to Apply the effect to the selected clip. Your primary video (or image) will now be seen inside of the template image, forming a border of sorts. This effect is sometimes referred to as "picture-in-picture".